Tantajo is the brainchild of Alberto Hauss and longstanding friend and business colleague Glenn Payne. Alberto & Glenn's vision was to create and provide the very best music for the new and exciting listening experiences, to discover music from all over the world that inspires and enhances the life of the listener. Cultures are melting together and so do the music styles. You can hear great electronic club music from Brazil or "just" a girl with a guitar from Paris who sings straight to your heart. With this belief and philosophy the Tantajo message is simple… "quality not mainstream quantity". Each Tantajo release will be carefully selected and crafted and feature artists who share the Tantajo ethics. ALBERTO HAUSS started writing and producing in the late 80´s. First international chart success was with Latin dance acts like CHOCOLATE and MYSTIC (Ritmo de la Noche) and house and soul legend OLIVER CHEATHAM (‘Get Down Saturday Night’). After the worldwide chart success of U96, DAS BOOT(gold and platinum, 5 albums,14 weeks #1 Germany) he produced with Irish singer Cora O'Donovan the band FREUD for the US market. Alberto worked also as a writer and re-mixer for artists such as ARETHA FRANKLIN, STING, DIANA ROSS,SARAH VAUGHN, CHICO AND THE GYPSIES,SALLY OLDFIELD, BOYTRONIC,CULTURE BEAT,ATC and LEVEL 42 just to name a few. 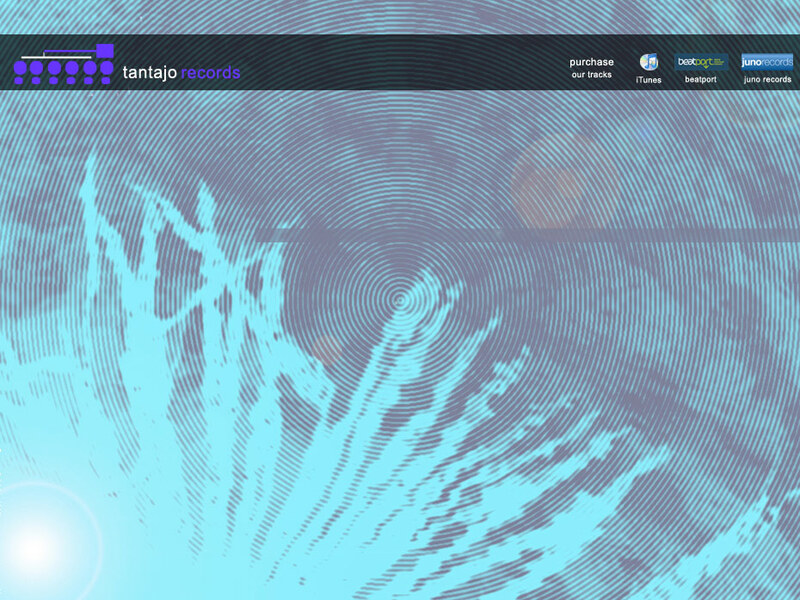 A full discography is available in the TANTAJO STUDIO section. In 2002 and with Alberto's background of Latin influenced music and European club style he started the project TERRA DEL SOL with Hamburg based label HIGHBALL MUSIC. As well as performing live and DJ’ing, TERRA DEL SOL have won a strong reputation in the chill out and lounge scene. Following the successful ‘Selection’ series comprising of three stunning albums TERRA DEL SOL have also enjoyed successful liaisons with the famous CAFE DEL MAR and cult series CAFE ABSTRAIT. Having lived and produced in the South of France for some years Alberto returned to Hamburg and founded the TANTAJO RECORDING studios and label TANTAJO RECORDS together with his partner Glenn Payne. GLENN PAYNE started his career in 1978 working for GTO Records where he was responsible for Regional Radio Promotion. Their artists included Donna Summer / Billy Ocean / Heatwave / Giorgio Moroder / Dana / New Musik & The Dooley's. In the early 80's he started his own Independent Promotion Company working with Klub Records / Monarch Records and Strike Records, dealing with London and Regional Radio. Artists included Rikki / Clydesiders and The Tigers. The company then expanded into a Record Label signing a distribution deal with Pinnacle Records, artists included Officers & Gentlemen and an all girl trio Brazil... all enjoying turntable success and good record sales. Glenn continued to work within the international arena securing licensing deals for heavy US Rock Giants Quiet Riot striking deals for the album "Terrified" in Scandinavia /Spain and Brazil, while working along with soul groovers The Cool-Notes "Spend the Night" and "In Your Car" - both tracks securing European releases and Chart Success. It was during this time that Alberto first had the idea for Freud... and together Alberto & Glenn went onto license 'Time Passengers' throughout the World including US, UK, Germany, Benelux, South East Asia... to name just a few territories. Then in April 2002 Glenn was asked to join leading new age label New World Music, going onto develop their Promotion and PR departments... and was a key member of their A&R team.